I find Hypnotherapy can be a very helpful for those who have made a clear commitment to ending gambling addiction in their lives. If you think your gambling has gone beyond a recreational enjoyment and has become an addiction that you feel unable to control, then there is a good chance that I can help. Whether it’s Casinos, Betting shops, Online gambling, Scratch cards, or any other form of gambling. I can give you the tools, clarity, and insights to turn things around and get you back on track. Reducing and clearing any urges to continue gambling. Skilful management and neutralisation of triggers. Finding stability during the first weeks after you stop gambling. Building confidence and self-esteem after the habit has ended. Resolving any underlying issues that may have kept you stuck in your gambling addiction. Personalised Hypnotherapy MP3s for feeling in control and making progress between sessions. Simple but effective self-help tools to help you stay in control of your progress. Creating short and long term goals and action plans for life after gambling. Although Gambling is a process addiction, it is just as destructive as substance addiction in the way that it creates strong emotional, and sometimes mental, instability. Debt, and the possibility of financial ruin, burden the gambling addict with guilt, shame, anxiety and fear. Needless to say that these difficult emotions are usually managed by another trip to the betting shop, casino, or slot machines. Think for a moment. How would it be to not have any form of gambling addiction in your life? Could your life be used for something that has much more meaning and purpose? 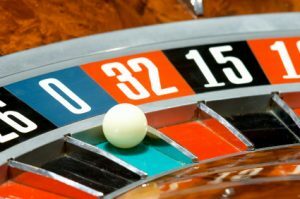 If you are seeking Hypnotherapy for help with a Gambling Addiction then please contact me and arrange an initial consultation.